Qamar David was in prison since 2006. In the weeks after his arrest police failed to find any concrete evidence against him. Muslim co-defendant acquitted, for lack of evidence. Christian activists: verdict result of "influences and prejudices” and motivated by “ external pressures ". Karachi (AsiaNews) - Qamar David, a Christian in the dock on charges of blasphemy, was sentenced to life imprisonment. The basis of the ruling, issued on Feb. 25, the fact that the man "hurt the religious feelings" of Muslims; however, the co-defendant was acquitted for lack of evidence. The police had arrested the man in 2006, although there was no evidence against him. Additional District and Sessions Judge found Qamar David guilty of using blasphemous remarks about the Islamic Prophet and Quran and pronounced the verdict after hearing final arguments from both sides, daily Dawn reported yesterday. According to the verdict, a SIM phone card was found in possession of the convict and the data produced by the cellular company established that messages were sent from the seized phone card, which they claim belonged to the Christian. A contact close to the accused is of the opinion that the facts, evidence and law were in his favour. The evidence against him is said to be based on hearsay, and an accused Muslim in a parallel case was fully acquitted on the same facts. Speaking on condition of anonymity, the source described the final judgement as “biased and prejudiced,” and believes that external pressure on the court may have played a part in distorting the outcome, a news release issued by Christian Solidarity Worldwide (CSW) states. 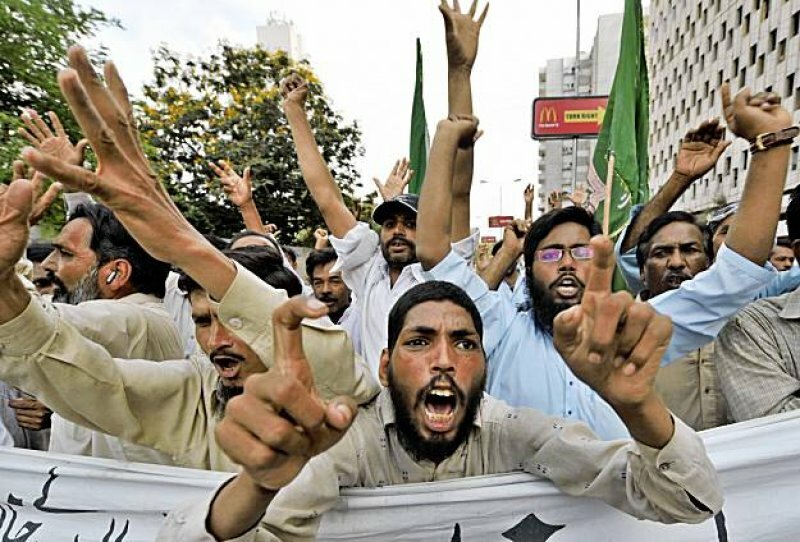 CSW is deeply concerned over news that a Pakistani Christian from Lahore was sentenced to life imprisonment for blasphemy against the Prophet Mohammed, the communiqué. The Christian man was arrested in May 2006 for allegedly spreading blasphemous messages through his cellphone. During that time both Mr David and his lawyer, Parvez Choudhry, were regularly subjected to assassination attempts and threats of violence from abusive mobs. Christian Solidarity Worldwide (CSW) is a human rights organisation which specialises in religious freedom, works on behalf of those persecuted for their Christian beliefs and promotes religious liberty for all.